We believe that creating a dynamic and engaging environment is key to the happiness and health of our residents. That’s why Eva Tilley has a lifestyle team that has crafted a roster of entertaining activities catering to our residents’ diverse interests. 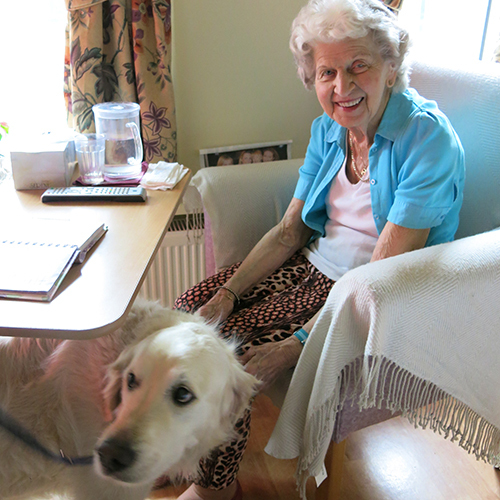 Residents can enjoy a range of activities including singing in a choir, film screenings, happy hours, arts and crafts, special activity days and pet therapy. And with two wheelchair accessible buses, residents stay connected to the wider world with regular excursions and shopping trips into the community. 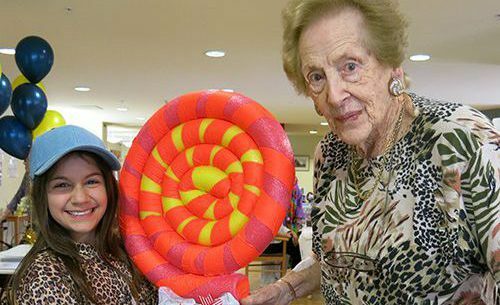 Established by and for the community of North Balwyn for over 50 years, Eva Tilley continues to be vitally connected to the area. 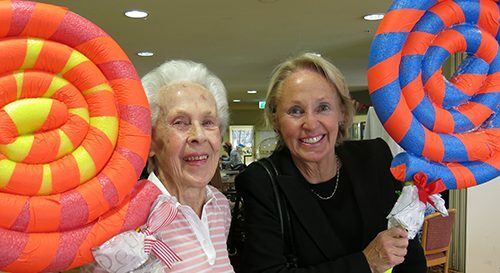 Many local organisations and groups contribute to the vibrant daily life of our home, including local school children from Genazzano FCJ College, Xavier College, MLC, Camberwell Boys Grammar as well as knitting and craft groups and an avid indoor bowling team plus local Rotary clubs. 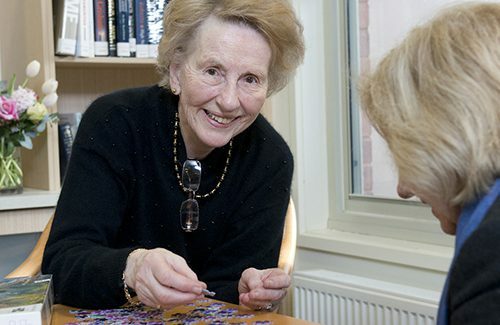 Our dedicated lifestyle program is designed to nurture the health and well being of our residents by actively supporting their physical, emotional and mental health. We have developed specific programs to support cognitive functioning, including challenging quizzes and puzzles. Our residents also enjoy strength training and gentle exercise classes to maintain their strength and mobility. Discover what’s on this week’s Lifestyle Program calendar. We believe that continuing lifelong bonds with family, friends and their community is integral to the well being of our residents. Our doors are always open, with no specific visiting hours required, and families can arrange to join their loves ones for our home-cooked meals.